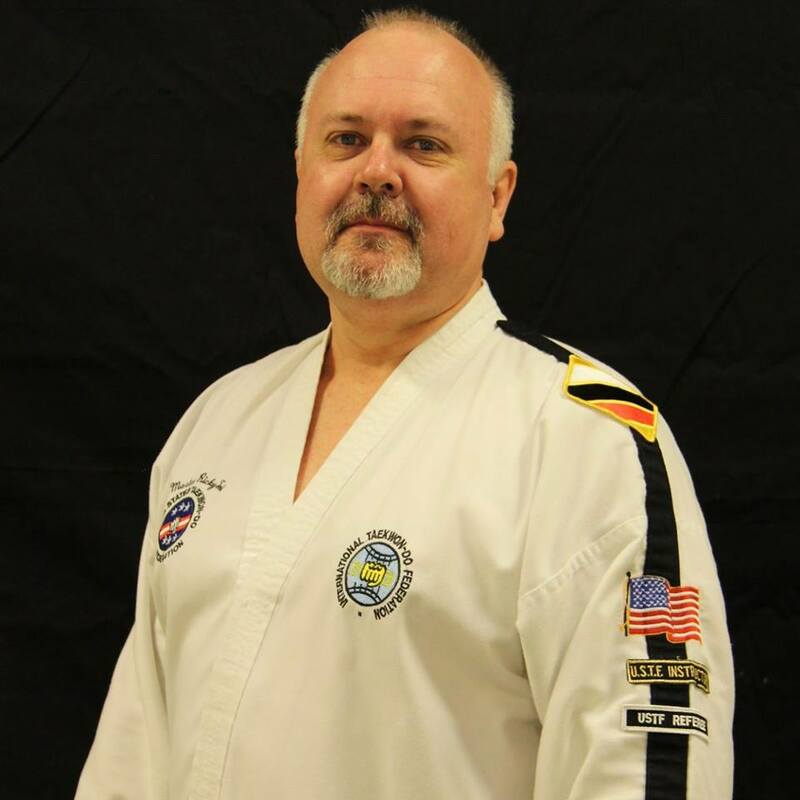 Sr. Master Todd is an internationally certified master instructor under the United States Taekwon-Do Federation (USTF) and is the Senior Instructor at Axe Taekwon-Do. 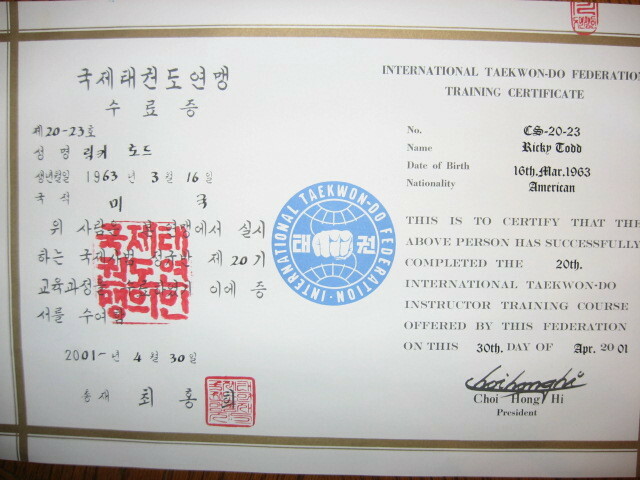 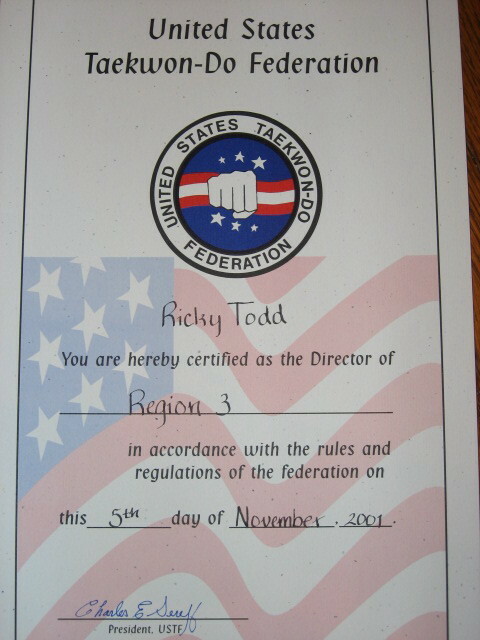 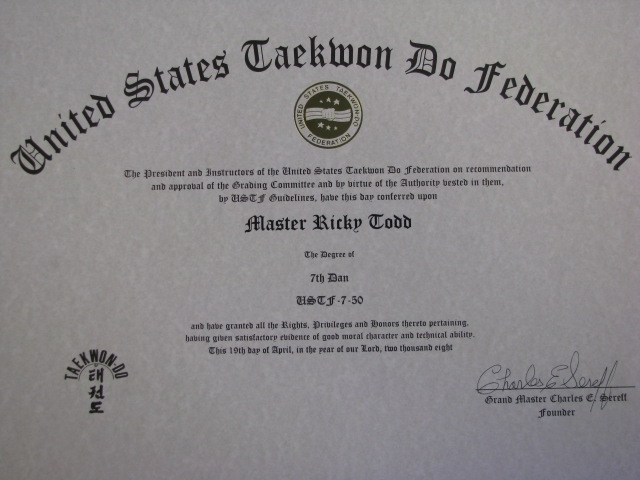 Sr. Master Todd began his training under Sr. Master Gary W. Meek, 8th degree black belt at Meek’s Taekwon-Do Center, McConnell Air Force Base, Wichita, Kansas. 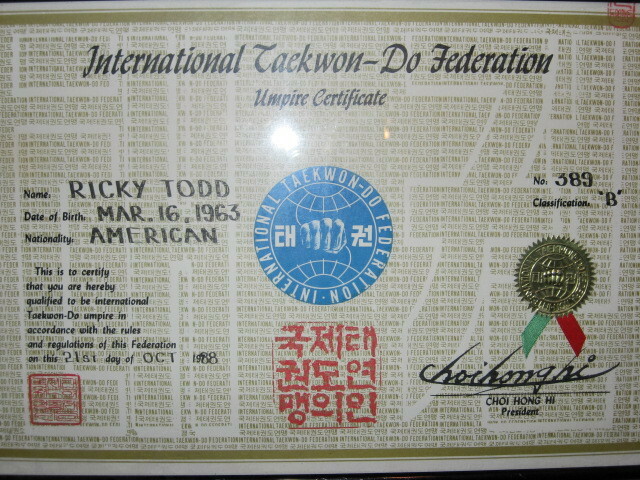 Station, Adana, Turkey. 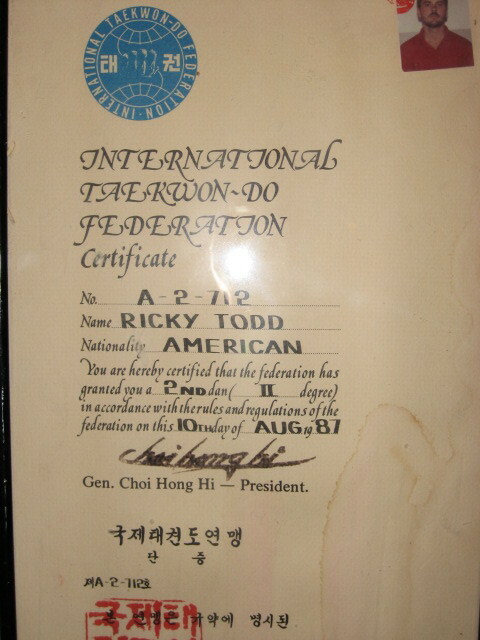 He founded Todd’s Taekwon-Do Center on the base and was there from 1990-1992. 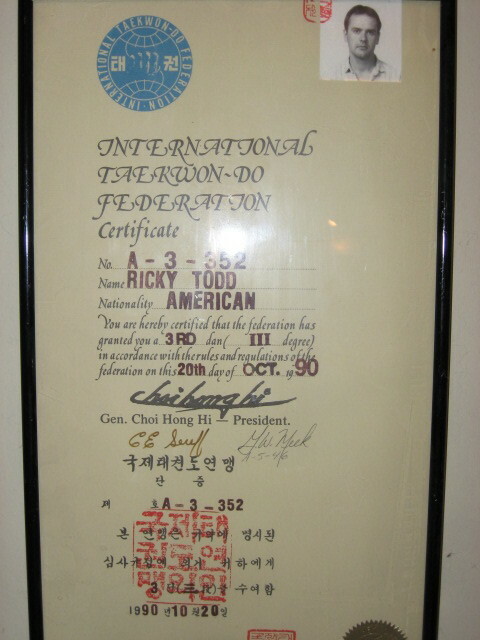 Sr. Master Todd moved to Onizuka Air Station, Sunnyvale, California and founded USTF California Taekwon-Do in Mountain View, California. 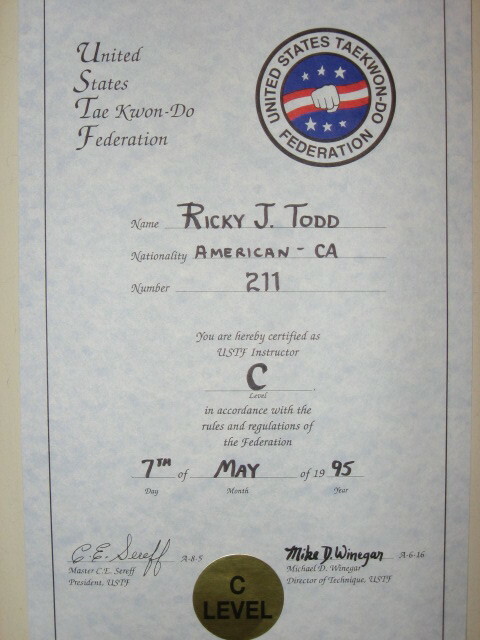 He was in California from 1993-1996. 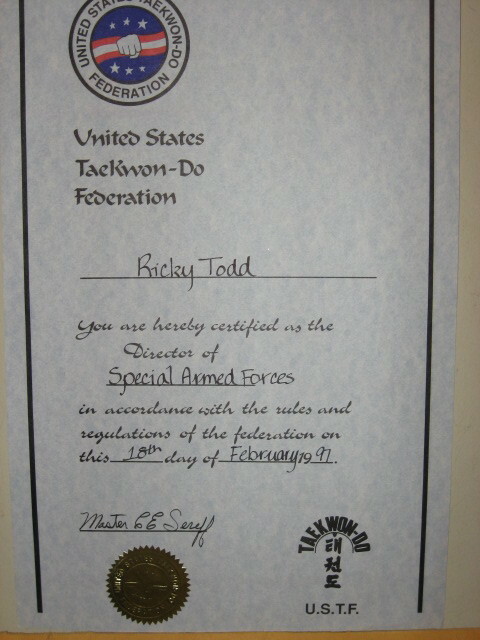 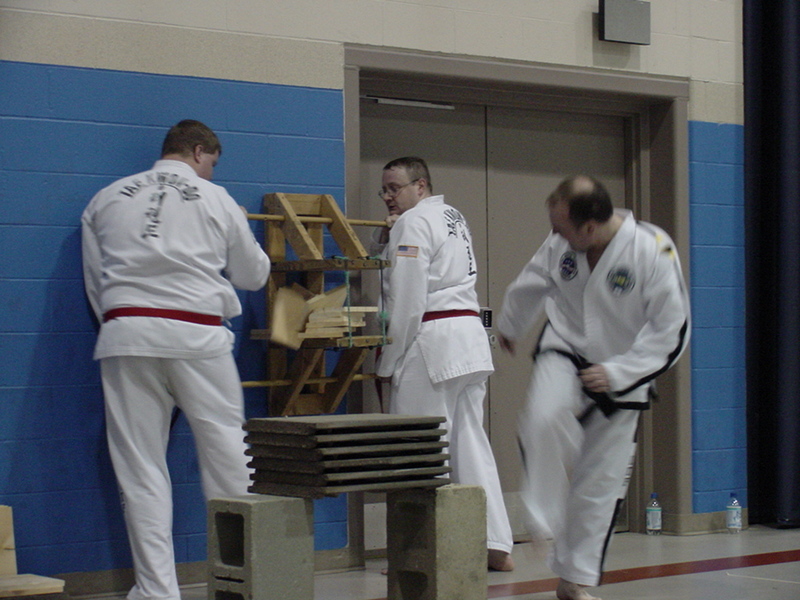 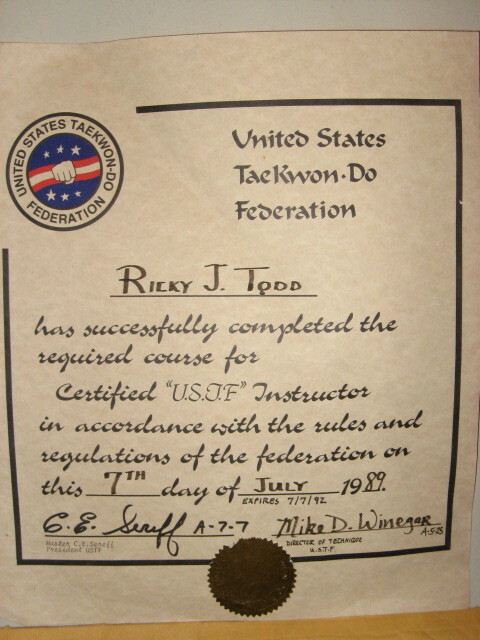 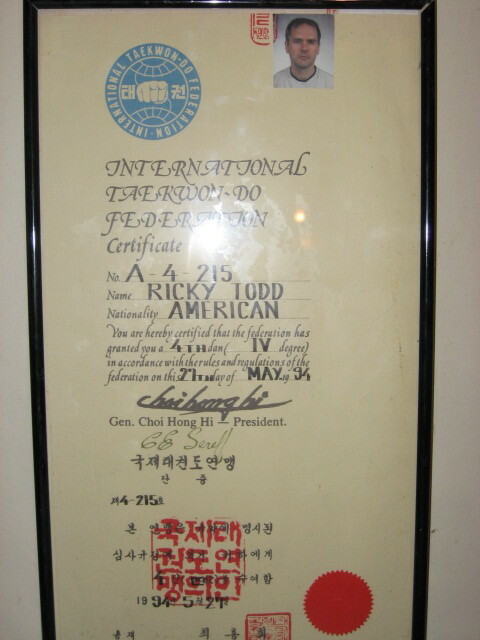 In December 1996, Sr. Master Todd moved to Offutt Air Force Base, Bellevue, Nebraska and was the assistant instructor at Meek’s International Taekwon-Do at the Offutt Youth Center until April 1998. 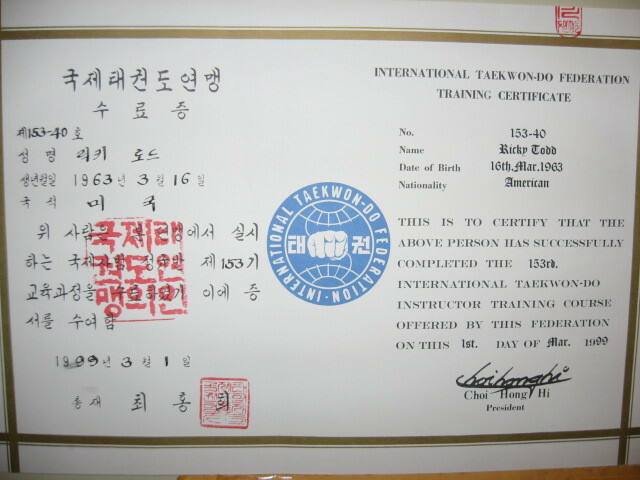 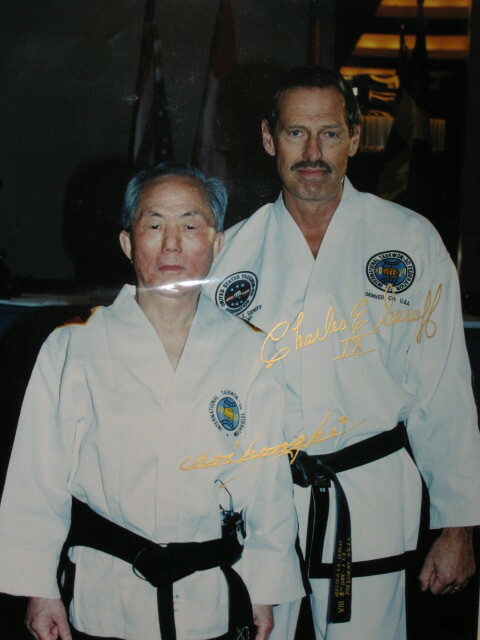 He founded and opened a commercial school named Bellevue Taekwon-Do in April 1998, which was open until 2001. 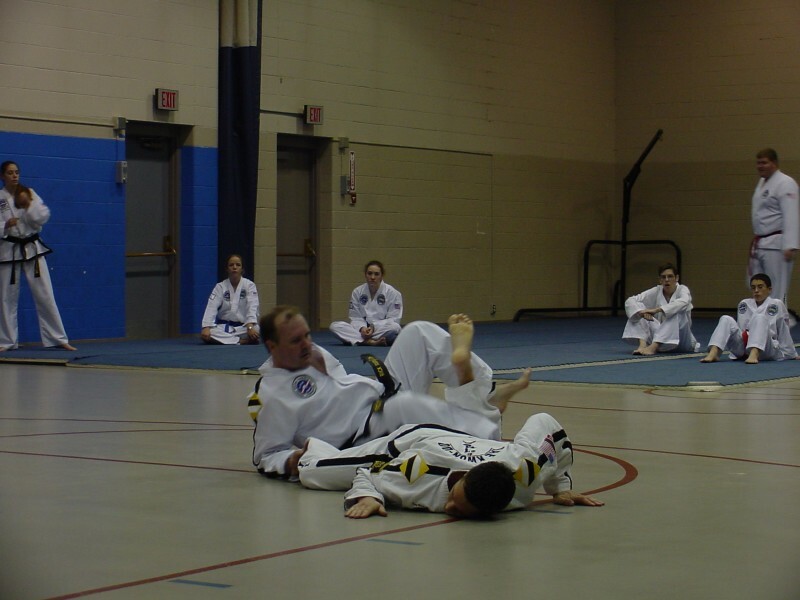 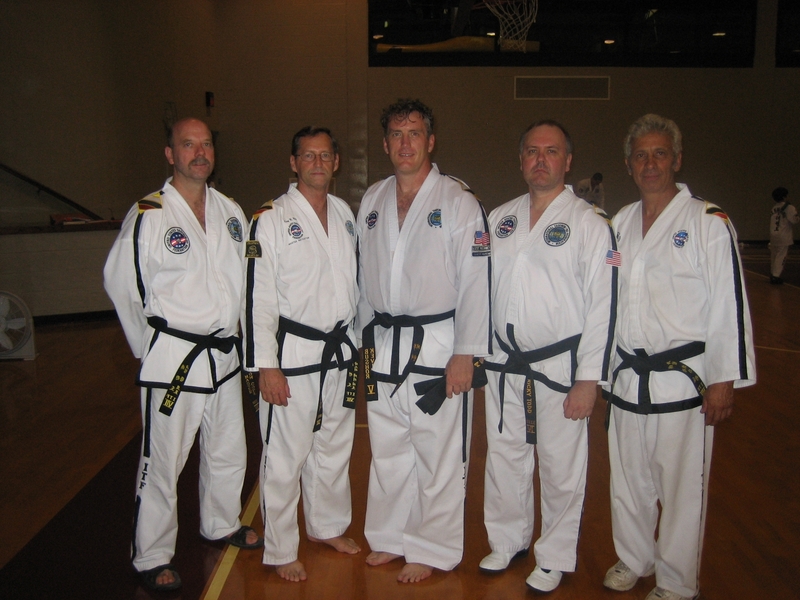 Sr. Master Todd moved again to Whiteman Air Force Base, Missouri in 2000 and started Whiteman Taekwon-Do and Windsor Taekwon-Do teaching there until 2002. 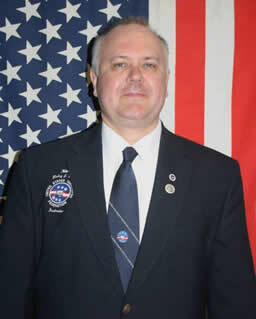 In 2002 he retired from the Air Force and assumed the head instructor position at the Offutt Air Force Base, Nebraska in 2004. 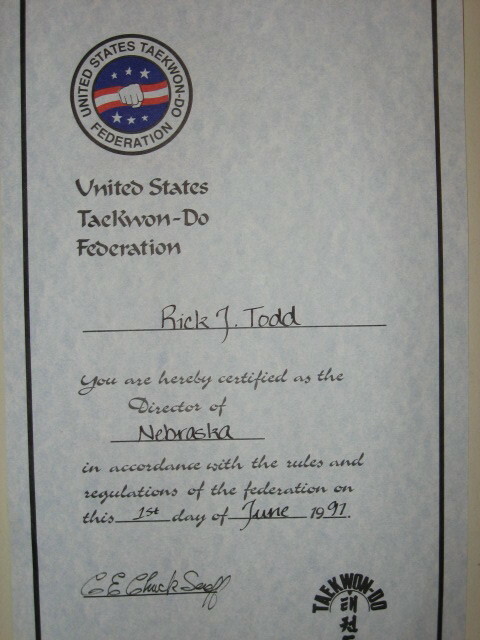 He was the USTF State Director for Kansas and Nebraska and the Armed Forces Director. 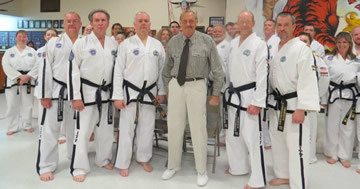 He is currently the USTF Region III Director responsible for Taekwon-Do operations in Kansas, Nebraska, South Dakota, North Dakota and Montana. 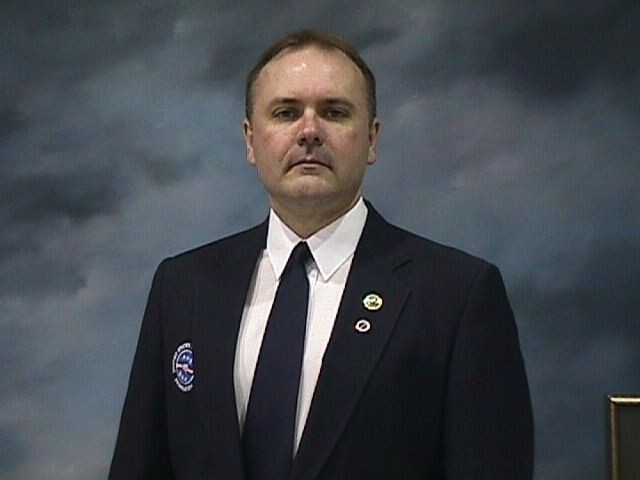 Sr. Master Todd is a retired Air Force paralegal and currently working as a law office manager for an Omaha law firm. 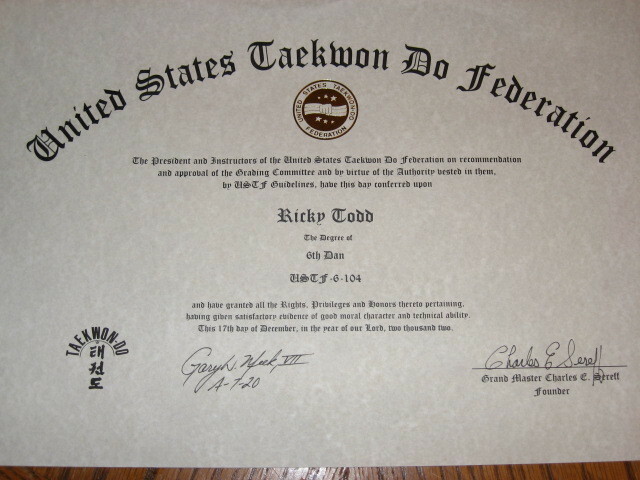 Last modified: 8/28/11 Send mail to ustfneb@cox.net with questions or comments about this web site.